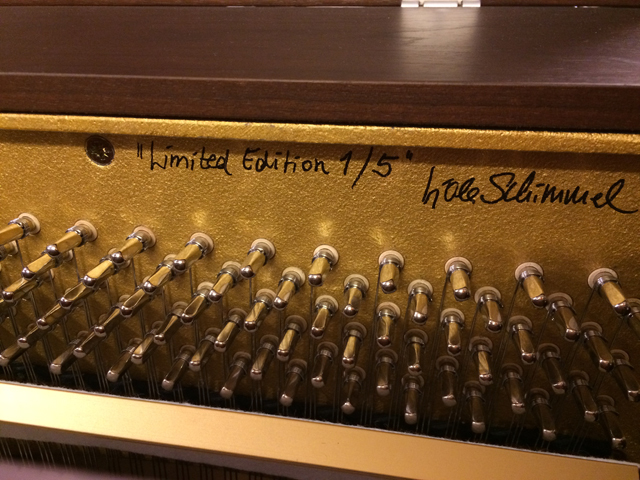 This Schimmel 115 Limited Edition upright piano is a beautiful instrument, limited to 5 signed pianos. 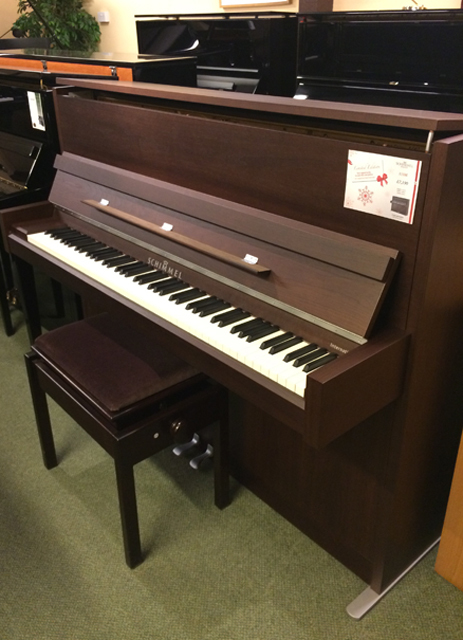 We have number 1 of 5 and it will be a special piano to treasure for many years to come. Beautiful, balanced sound and contemporary looks. The walnut satin finish is a luxurious finish and with its brushed chrome hinges and pedals, gives a distinctive and modern finish.